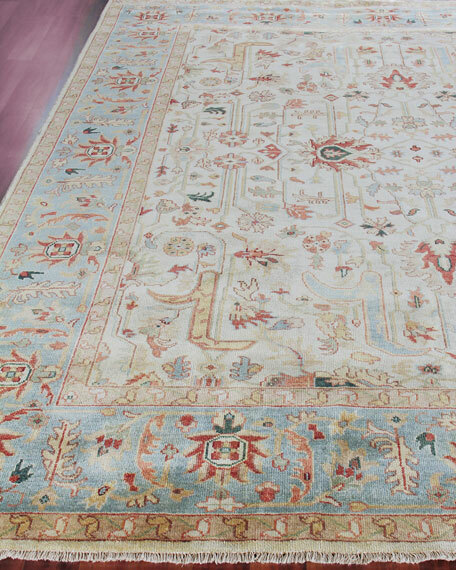 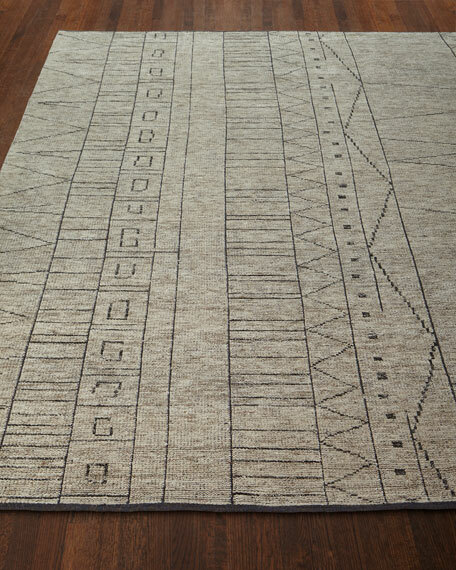 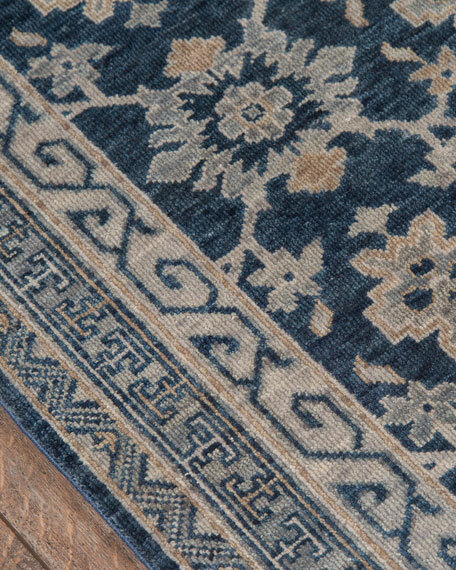 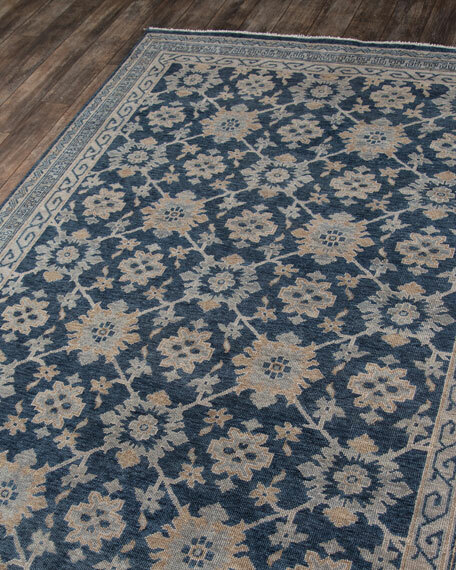 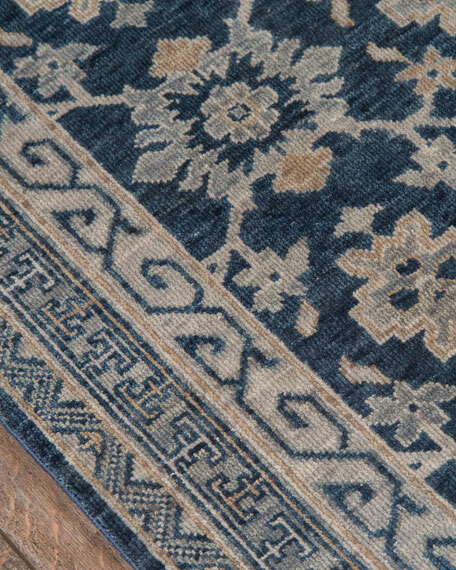 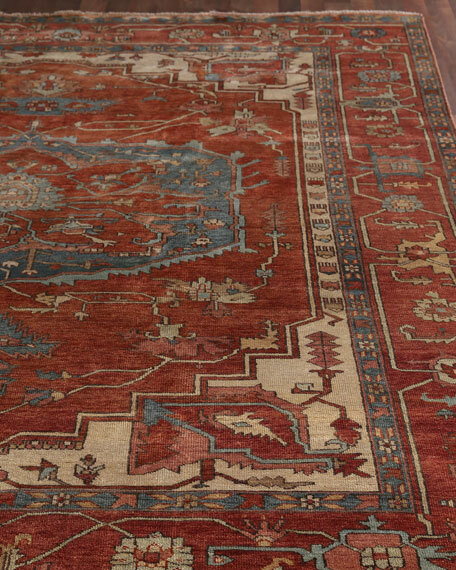 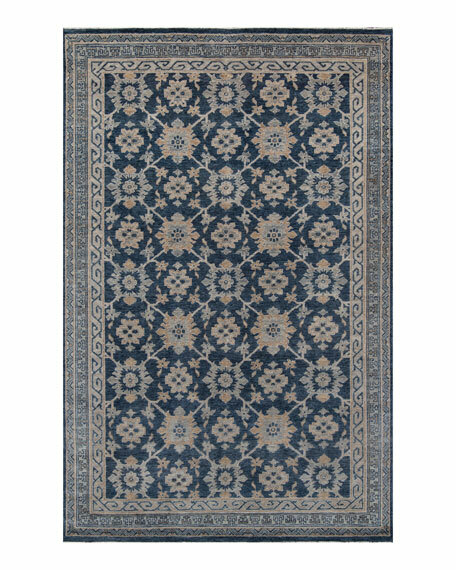 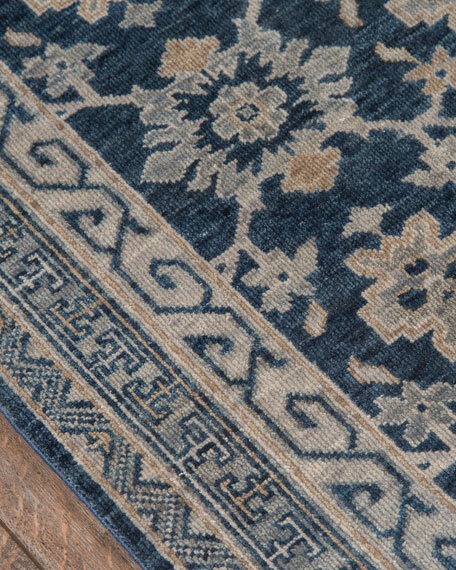 Bethany Hand-Knotted Rug, 8'6" x 11'6"
Handcrafted traditional rug features Old World ornamental patterns. 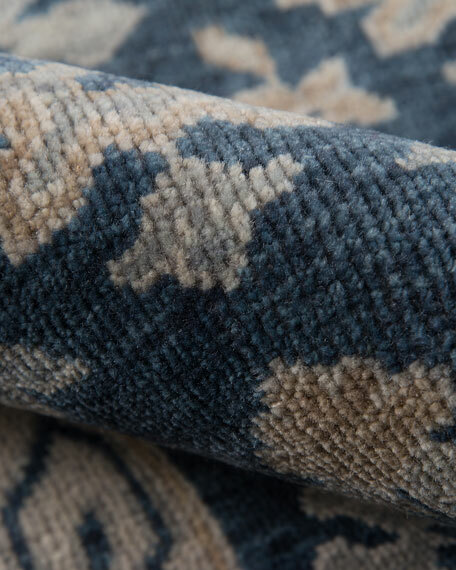 Hand-knotted from natural wool fibers. 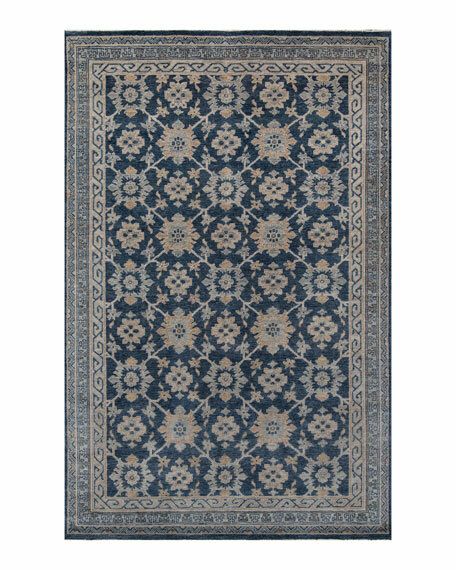 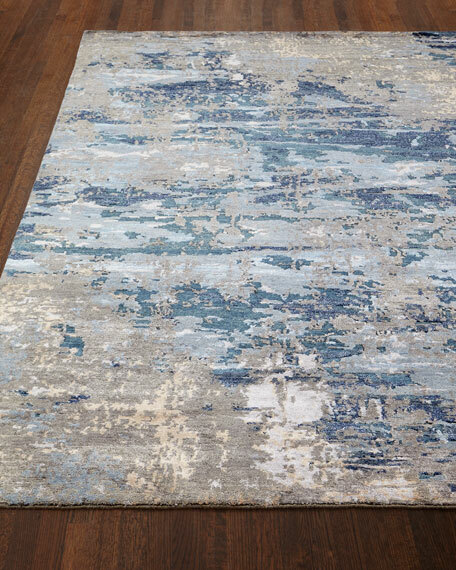 Bethany Hand-Knotted Rug, 7'6" x 9'6"
Bethany Hand-Knotted Rug, 5'6" x 8'6"
Bethany Hand-Knotted Rug, 3'9" x 5'9"
Bethany Hand-Knotted Rug, 9'6" x 13'6"
Linden Hand-Knotted Rug, 8'6" x 11'6"
Drawing inspiration from tribal influences, this rug combines relaxed linear pattern with a sophisticated color palette. 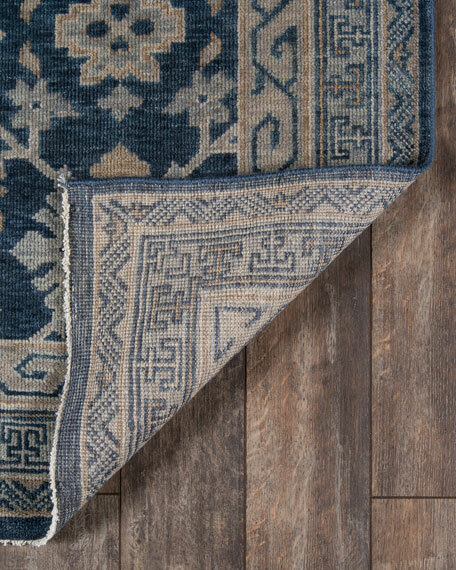 Each rug, which is hand-knotted of wool and viscose from bamboo, is crafted entirely by hand by master artisans in India.